On Thursday October 4, 2018, 7:00 p.m. at the Southern Utah Museum of Art, SUU and SUMA are excited to welcome artist Salvador Jiménez-Flores to present on his artwork. This event is free and open to the public. Russell Wrankle, Assistant Professor of 3D/Sculpture/Foundations at SUU said “Salvador is making work that is steeped in tradition and at the same time, the issues that he's exploring are very contemporary both aesthetically and politically. We need more voices like Salvador's to be heard and it's an honor for us to have him on campus”. Salvador Jiménez-Flores is an interdisciplinary artist born and raised in Jalisco, México. Since coming to the United States, Jiménez-Flores has contributed to the art scene by producing a mixture of socially conscious installation, public, and studio-based art. He has presented his work at the National Museum of Mexican Art, Grand Rapids Art Museum, Urban Institute of Contemporary Art, Bemis Center for Contemporary Arts and Casa de la Cultura in Jalisco, México amongst others. Jiménez-Flores recently completed a two year-long artist residency at the Harvard Ceramics Program, Office of the Arts at Harvard University. He also served as the Artist-In-Residence for the City of Boston. 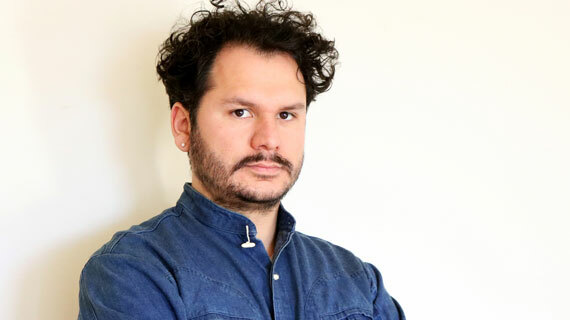 Jiménez-Flores is a recipient of the Joan Mitchell Foundation Painters & Sculptors Grant, The New England Foundation for the Arts Grant, and was awarded the Kohler Arts Industry Residency for 2019. He was recently appointed Assistant Professor in ceramics at the School of the Art Institute of Chicago. Jiménez-Flores said “The content of my work is socio-political and is driven by my life experiences. In my work, I explore the themes of colonization, migration (voluntary or involuntary), ‘the other’, stereotypes and cultural appropriation. I take an interdisciplinary approach with my work by choosing the media that will best fit the idea I am trying to convey. As an artist, I feel I have the responsibility to address the issues that affect my community, create awareness and propose actions through my art. Enjoy this presentation from Salvador Jiménez-Flores on his beautiful and thought-provoking artwork for one night only, on October 4th. For more information, please visit www.suu.edu/pva/art.